Probate is the area of law dealing with a deceased’s estate. McGrath McGrane are specialised probate solicitors based in Dublin and we recognise that the passing of a loved one is an extremely emotional and stressful time. 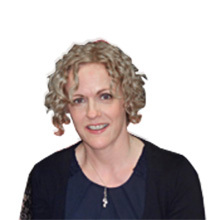 Brian S. McGrane & Julie Mullan have over 30 years’ experience in dealing with Probate matters experience making McGrath McGrane very well equipped to advise you at this difficult time. We can provide you with expert advice on all areas of Probate law and we will assist personal representatives by guiding them in administering a deceased’s estate in a timely and efficient manner when a loved one passes away. When someone passes away their estate or assets pass to their personal representative. In order for the next-of-kin or beneficiaries to receive their inheritance the deceased’s estate needs to be ‘administered’ through the Probate Office of the High Court by the personal representative. Once the application to the Probate Office has been finalised, a Grant of Representation will issue, which will enable the personal representative to collect in the assets of an estate (eg bank accounts, savings bonds, life policies) and sell any house/land. Personal representatives can make a ‘personal application’ to the Probate Office for a Grant of Representation directly or they can employ a probate solicitor to act on their behalf. Generally, a solicitor will obtain a Grant of Representation more quickly. Find out about Probate Processing Times here. When all the assets held by a deceased were in joint names – eg bank accounts/property. In these cases, the bank accounts and some types of property held in joint names may transfer automatically to the other joint owner by way of survivorship. Credit Union accounts which are nominated to a third party – these also often pass to the third party without the requirement for a Grant of Representation. Where the whole estate comprises only of cash assets (eg bank accounts) with a value of less than €25,000.00 often the relevant financial institution does not require a Grant of Representation to release the funds. In the above examples it may be sufficient to produce the death certificate and will of the deceased on order to transfer ownership of these assets. If a Grant of Representation is necessary, depending on a number of factors and whether the deceased left a will or not, a number of different applications may arise. Grant of Probate: This is where the deceased left a valid will naming an executor to be the personal representative. Grant of Letters of Administration with Will Annexed: This is where the deceased left a valid will but did not name an executor or the named executor has died or cannot act as personal representative. In both of the above cases the deceased is said to have died ‘Testate’. Grant of Letters of Administration: This is where the deceased left no will or an invalid will. In this case the deceased is said to have died ‘Intestate’. The person entitled to act as personal representative is governed by Rules on Intestacy which apply to intestate estates. These rules also govern the identity of the beneficiaries and shares of the deceased’s estate that they will receive. Are you dealing with estates and inheritance? Contact us today - probate and estates processed quickly. Any of our solicitors will be delighted to speak with you without obligation.